T3A:Online is a free custom online server for the Battle for Middle-earth series. We support BFME1, BFME2 and RotWK. T3A:Online integrates seamlessly into your BFME experience by requiring no third party software and allowing you to log in through the game's online interface and play against your friends and foes through our T3A:Online server. 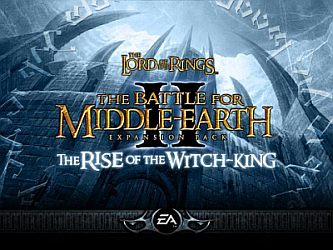 T3A:Online supports all titles of the Battle for Middle-earth series: The Battle for Middle-earth, The Battle for Middle-earth II and The Rise of the Witch-king. Please read the Setup instructions and see the Downloads section on how to play online - it's for free! Looking for opponents or allies to play with? Join our Discord server to arrange games. The Rise of the Witch-king is now officially supported and can be played on our server. With the new T3A:Online launcher all three games can be launched from the same interface! Full support is provided in the T3A:Online support forums. If you are experiencing installation issues, read this installation topic. If you are experiencing connection issues, read this connection topic. Donations to our server are always welcome and needed. Your donations go directly towards server maintenance and improvements to the T3A:Online experience.